Best Buy has stood the test of time in the world of electronics and has outlasted many competitors, including Circuit City and Radio Shack. Today, Best Buy is known for having a huge selection of all kinds of electronics and gadgets. Although the prices tend to be reasonable, they are often not as low as they could be, which makes it even more important to know how to shop smartly and save money. Use the following techniques to get great electronics for great prices at Best Buy. Rewards certificates: As a My Best Buy member, you’ll earn one point for every dollar you spend at Best Buy or BestBuy.com (excluding taxes and fees). Once you hit 250 points, you’ll receive a $5 rewards certificate. Rewards certificates work similarly to coupons and can be used for nearly any purchase that is over the certificate amount. You can also choose to save your points until you hit 1,000 points and redeem them for a $20 rewards certificate. Although this is a better deal, it can take longer to reach and is the maximum amount you can reach before the points reset. Note that it can take 15 days after a purchase for the points to be applied to your account and the points expire after one year. Member-only exclusives: My Best Buy customers are often the first to know about upcoming sales and are given early access to many promotions and store events. You will also sporadically receive exclusive special offers, which can vary from a coupon for 15% off a certain type of product or extra rewards points when you buy certain brands. Free shipping on $35+: Many expensive items, like laptops and small appliances, come with expensive shipping costs, which makes this offer of free shipping on all order of $35 or more even more appealing. This offer excludes items with scheduled delivery, like refrigerators. Extended exchanges and returns: Instead of the typical 15 days to return an item, Elite members have 30 days after making a purchase and Elite Plus members have 45 days to return or exchange. Point banking: While basic My Best Buy members have a cap of $1,000 points for a $20 reward certificate, Elite and Elite Plus members can accrue points with no limits. Unlike basic membership, the points never expire so you can save for a huge reward. Note that you have to maintain the Elite or Elite Plus annual spending levels to keep your points active—if you fail to spend the right amount of money in a year, you will be demoted to basic status and lose your points. Bonus points. Instead of the basic one point per dollar spent, Elite members get 1.1 points for every dollar spent and Elite Plus members get 1.25 points for every dollar spent. That means basic members get $5 back for every $250 they spend, Elite members get $5 for ever $227.27 they spend, and Elite Plus members get $5 back for every $200 they spend. Aside from its regular clearance sales online and in store, Best Buy also runs a Deal of the Day section that is similar to Amazon’s Lightning Deals. The Deal of the Day section is easy to use. Best Buy releases a new deep discount on a specific item every day, but the deal only lasts for one day before it is replaced by a new product with a deep discount. Daily Deal discounts are almost always at least 25% off and frequently more than 50% off. There are also sporadically Bonus Deals of the Day with extra items with low prices for a single day. Because Deal of the Day products come with such great discounts, many items sell out quickly. Stay on top of the best discounts by signing up for the Deal of the Day email newsletter so you can score a product as soon as it is released. Best Buy was one of the first stores to create an online outlet shop, which is a great place for bargain hunters to get a great deal. Clearance and open-box items from the outlet still qualify for manufacturer warranties, but pre-owned and refurbished items may not have an applicable warranty, so be sure to ask customer service before making your purchase. The price match guarantee applies to identical products from other retailers, but it doesn’t apply to third-party marketplace sellers on BestBuy.com, Amazon.com, or other similar sites. Clearance items, coupon offers, flash sales, mail-in rebates, open-box items, and refurbished and pre-owned outlet items are also disqualified from the price match guarantee. 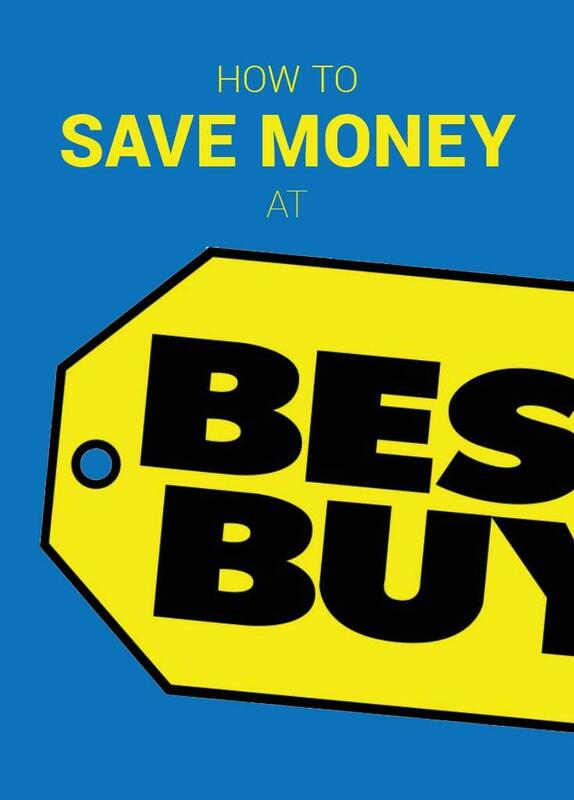 Best Buy doesn’t match any sale prices from Thanksgiving through Cyber Monday, so don’t plan on price matching during Black Friday or Cyber Monday. Save even more money at Best Buy by purchasing a discounted gift card from CardPool.com, a site that also sells discounted gift cards for many other stores. 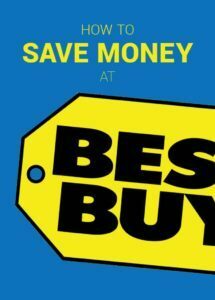 CardPool.com sells Best Buy gift cards at a great 5.5% discount, which can add up to great savings online or in store. Best Buy allows up to 10 gift cards to be used in a single transaction, which means you can buy eight $25 Best Buy gift cards from CardPool for $188.96 and save $11.04 instantly on a $200 purchase. When used with sale or clearance items, the savings can be even greater. The smallest amount for an electronic gift card is $20, but physical gift cards can be mailed with free shipping and come in amounts as small as $10. This post has been brought to you by Dealspotr.com – who provides comprehensive services for online bargain hunters. TTG sometimes receives commissions on sales made through certain links – at no cost to you. Should Parents Affect Their Kids Perception of Money?